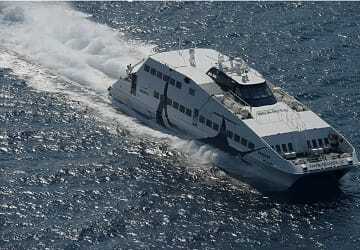 The Folegandros Thira ferry route connects Cyclades Islands with Cyclades Islands and is currently operated by 3 ferry companies. 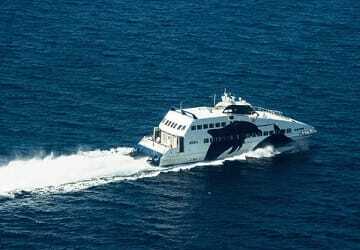 Zante Ferries operate their crossing up to 3 times per week, Sea Jets 16 times per week & the Golden Star Ferries service is available up to 7 times per week. 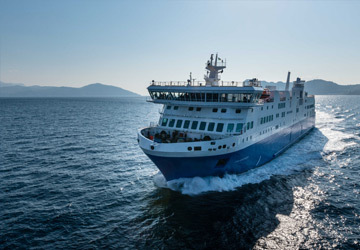 There are a combined 26 sailings available per week on the Folegandros Thira crossing between Cyclades Islands and Cyclades Islands and with 3 ferry companies on offer it is advisable to compare all to make sure you get the best fare at the time that you want to travel. Prices shown represent the average one way price paid by our customers. The most common booking on the Folegandros Thira route is a car and 2 passengers. 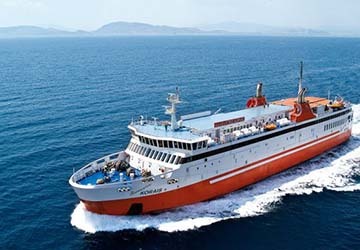 "Sea Jet 2 Folegandros to Santorini"
Very quick smooth crossing in a clean and comfortable vessel aided by pleasant, helpful, and well organised crew. Boat was about 50 minutes late as there had been high winds for several days although things had calmed down on our day of travel. Slight anxiety caused as we had a tight flight connection to make which proved not to be a problem. All in all, a very pleasant passage but felt more like an aeroplane trip than a boating one. Even if the sea weather was not good, the ship left the port. I have to give my compliments to the captain to let me have a nice trip. Efficient kind staff on board.